Good oral hygiene is essential to all of us regardless of age and gender. This dental approach involves daily brushing, flossing and regular consultations with dentist. Apparently, majority of individuals believed that oral hygiene is beneficial for kids only. Whether you wear natural teeth, dentures or braces, oral hygiene remains as the finest key to maintain excellent oral health. Aside from strengthening teeth, good oral hygiene naturally fights dental problems. Tooth decay, gum disease and mouth cancer are amongst the most common dental issues encountered by those who lack oral hygiene. Without immediate action, these conditions might replicate and generate general health issues. As we grow older, it is wise to pay more attention on dental care. Since we can’t stop aging, still we have the power to minimize and slower it from happening. Adults and seniors should consider that dental care is thrice more important when aging. Other than fighting oral problems, this keeps you from engaging with costly treatments. 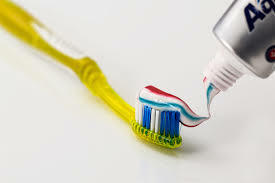 Oral hygiene is a preventive dental care. This saves you from costly treatments in the long run and saves your teeth from extensive repair. For adults, there are several reminders to contemplate. Since majority of seniors pay less attention to dental care, they are much exposed to dental problems. If you are part of the senior organization, one important thing to consider is regular visitation with your dentist. Seniors are always advised to see a dentist even without dental problems. We are all aware that regular dental visits allow dentist check your teeth. They scrutinize your mouth and teeth for possible dental problems, like tooth decay. Just like how an average person visits a dentist, seniors are advised to consult their dentists twice per year. For seniors with no teeth, they are advised for once a year dental consultation. The dentist will check and measure your mouth for dentures. Dental problems, like gum disease and oral cancer is more common with seniors. Therefore, they are fit to consult a dentist twice yearly. Since most dental treatments are expensive, seniors should search for affordable dental care. Dentists remind seniors to get dental insurance. Dental insurance mostly covered treatments for seniors. Other than dental exams, x-rays are also covered. For seniors with no insurance, they can cut down dental expenses through financing plans. CareCredit is the most common financial aid besides dental insurance. This financing program is offered by American Dental Association that allows patients to make monthly payments. Few dental specialists suggest CareCredit instead of dental insurance. This is due to flexibility and its quality to cover huge arrays and treatments; mostly those medications that aren’t covered by insurance. The most important dental care tip for seniors is to keep their dentists updated. Dental problems are best resolved when they are addressed earlier. So if you have any allergies, engaged on other bad vices or experience dental problems, inform your dentist. Keep in mind that dental problems may affect your general health issues. Seniors must be dentally conscious. Always consider dental hygiene and regular dental visits. Why? Ask our 24 hour dental emergency service.